$50+:- You will receive a signed hand printed giclee of one of the 9 lives of the Charles Van Damme of your choice per $50.00 donated. $1,000+:- the complete exhibit in a collector’s set. $5,000+ :- all of the above plus a commemorative plaque on one of the info panels in the exhibit. 9 x panels depicting 9 different lives of the Charles Van Damme.​Images are collages from newspaper cuttings, photos & memorabilia pertaining to the ferry. 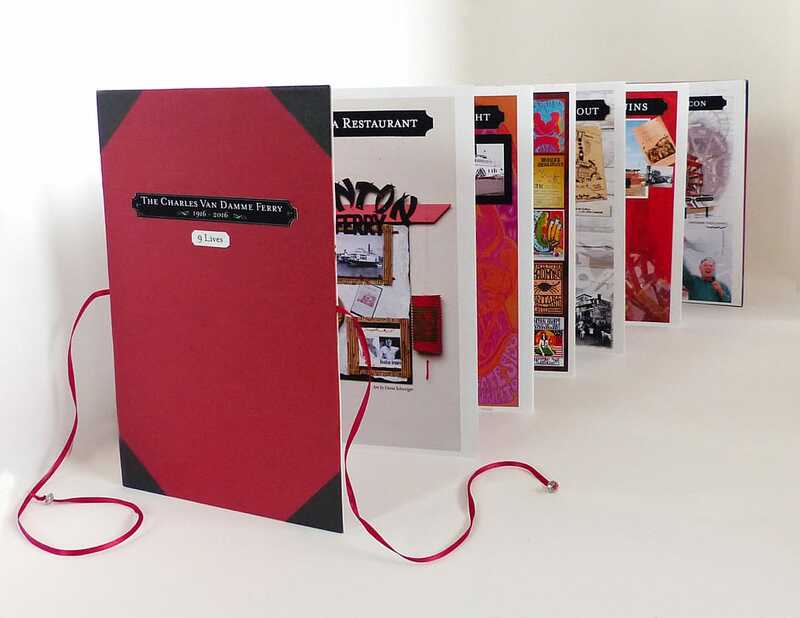 We have a limited number of commemorative hand made accordion books when you donate $500 or more.